Let me tell you about my time with the people of Fenris. Let me tell you of when the Galaxy was burning around mankind and doubt and deceit found true grip in the hearts of even the most righteous men. It was in these days, the days of darkness, that I discovered the true meaning of fear, of hope and, above all, of valour. These were lessons taught to me by strange people -Vlka, as they refer to themselves- who would sell foreigners an image of barbarity and laughter but could not hide from their own hearts, try as they might, the melancholy that weighted in all of their souls. For if you must know only one thing about them, is that they love humanity. They love it so much, that they are ready to shed away their own and embrace the beast fate has them marked to be in order to save all of us. For do not fool yourself, every son of Fenris is marked to die the day he is born, and there are fates worse than death they will have to walk through before earning that final rest. 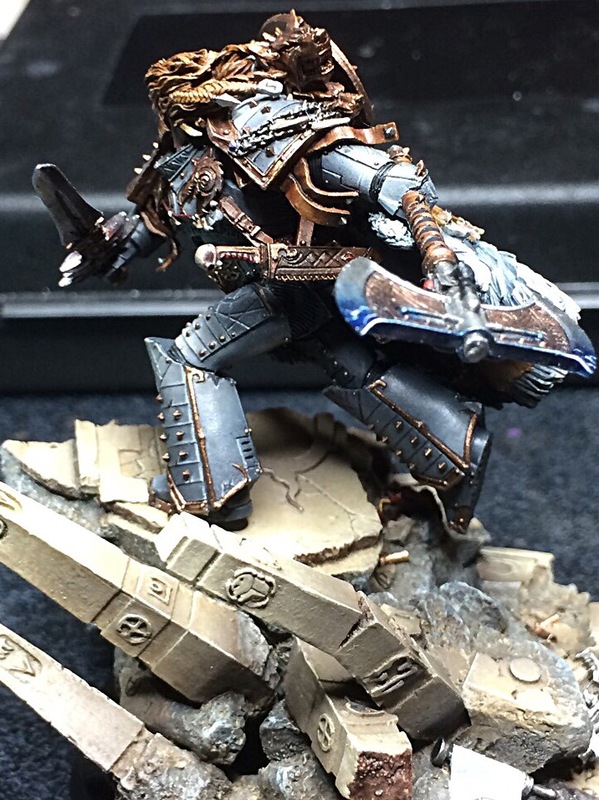 Leman of the Russ; the Wolf King, Lord of Winter and War, Breaker of Shields, Bringer of Ruin. Little is known of his past other than the words kept by Gnauril the Elder. 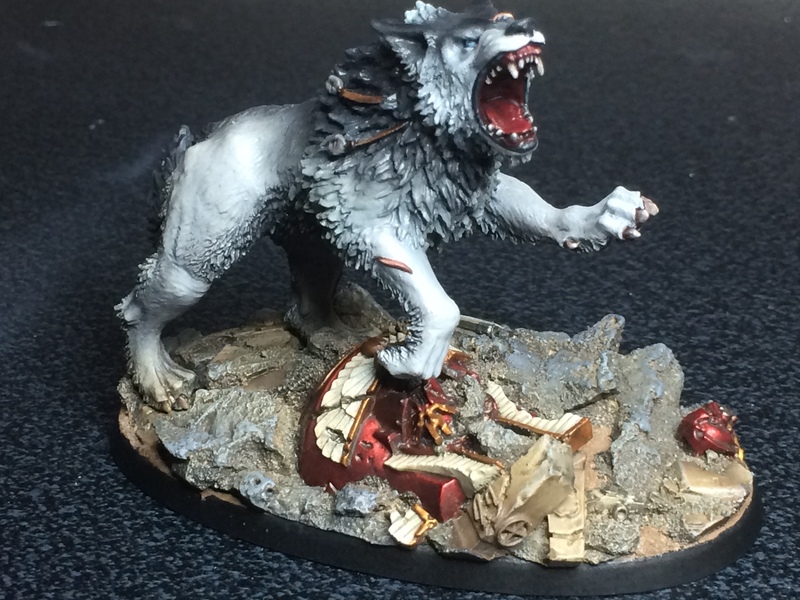 He was granted a place in Fenris by king Thengir after being found in a great wolf lair, his adoptive mother slain by the spears of his new tribe. Along his new and old brothers he would rise to be King of all Fenris. 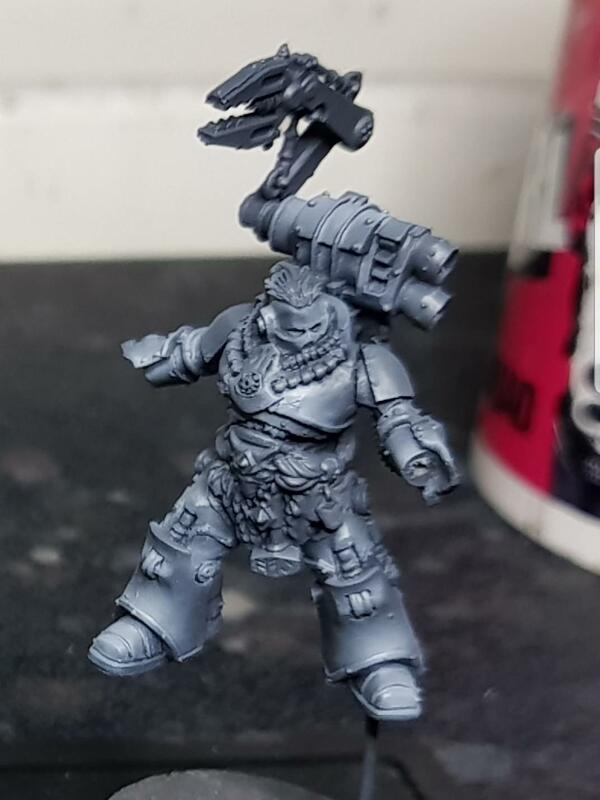 Leman of the Russ always had two wolves by his side. Old tales of lost lands of Terra speak of Romulus and Remus, two brothers raised by a wolf mother who would birth an Empire to conquer all Europa. Had Freki and Geri been part of the tale too, most likely the whole Terra would have yielded to them. Such was their ferocity and loyalty. Bulveye was the﻿ first to step forth when the Allfather declared he would take the Wolf King to his Saga beyond the Sky. Behind him the thegns follow﻿ed and behind them the dregn. 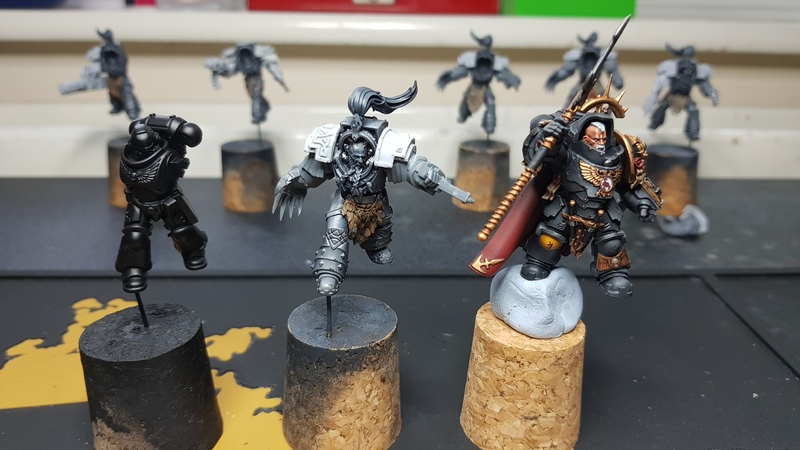 Following his unyielding courage, they stood together the trials of the Allfather, and a score of them remained alive when those were over.he Russ always had two wolves by his side. Old tales of lost lands of Terra speak of Romulus and Remus, two brothers raised by a wolf mother who would birth an Empire to conquer all Europa. Had Freki and Geri been part of the tale too, most likely the whole Terra would have yielded to them. Such was their ferocity and loyalty. 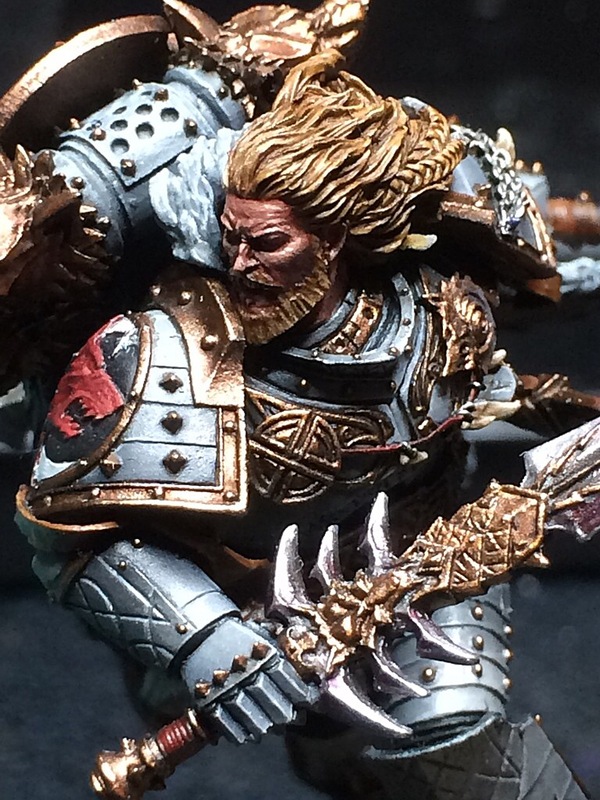 Pict captures of Jarl Bulveye during the compliance of Kernunnos before the 954th expeditionary fleet was recalled to assist in the sanction of Prospero. Floki was wild in a land of beasts, unassuming but proud, temperate yet passionate, a poet and a brute, always unambiguous yet at times sibylline. His gaze was easy to meet, his smile hard to gauge. Ever-present, behind the amused smirk of his lips and his blackened eyes one could only understand in a primal way the raw power of his soul and cower before it. Many times was that soul unleashed and with it the wrath of Fenris itself came, making the shrunken hearts of his enemies freeze within their chests. Floki was able to channel the spirit of Fenris both to divinate the future of the Dekk-Tra and to unleash its destructive energy among the foes of the Wolf King. Edited by Grieux, 13 August 2018 - 06:02 PM. Ivar the Boneless was one of the two sons of Jarl Lothbrok to survive the implantation process when Russ joined in the Great Crusade and took his Wolf Brothers with them. He was born with shrivelled, wrecked legs, though with sheer cunning and fierceness he made a name for himself as a great warrior. 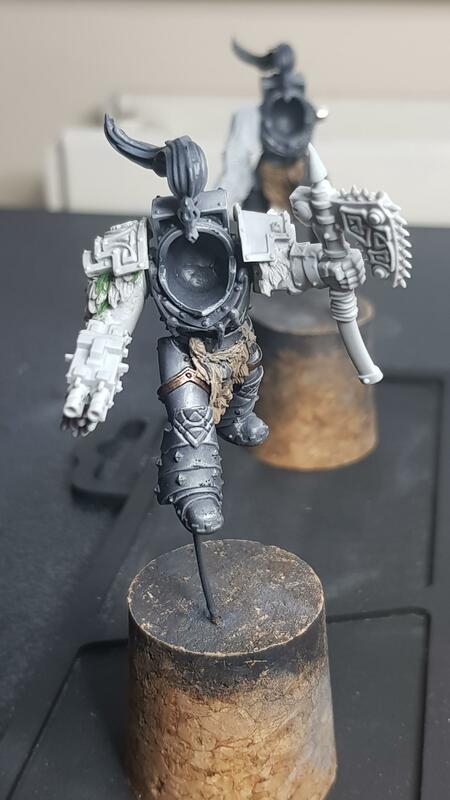 Thus, when becoming a Space Marine his keen mind was best used as the Forge Lord of the Dekk-Tra and, to always remember that he was born as a runt, meant to die from birth, he rejected replacing his lower limbs with cybernetic replacements but instead constructed himself with his mentor, Floki, a special suit of armour that would embrace his legs and give him the prowess required to keep with his brothers in battle whilst letting him showcase proudly that he was the one who defied all odds and rose to greatness. No-one ever stared into his eyes for it was said that once his white, blinded sight set upon another man's, the soul of the later would be judged and rise to Valhalla or fall into the depths of Hel. No-one knew where he came from, for he was already old when the first memories of him were recorded. 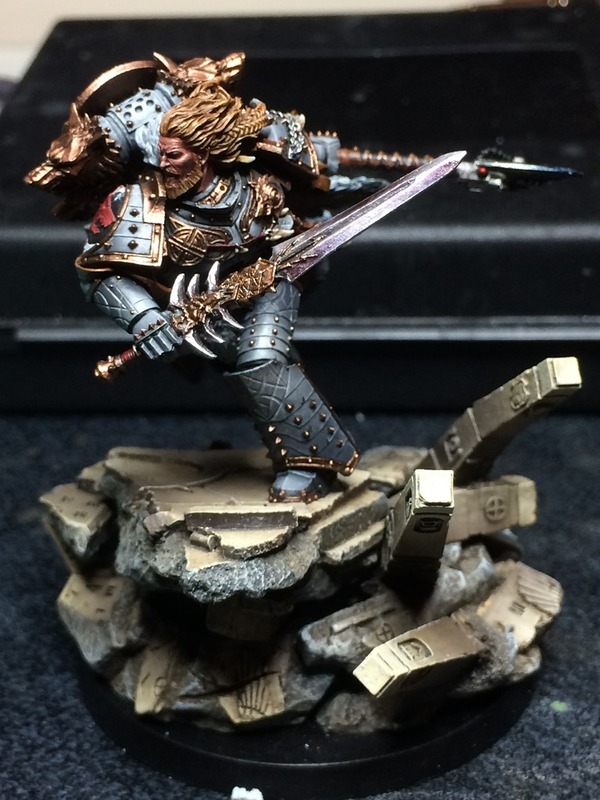 How did he ascend to the heavens when the Allfather came and fought the Crusade among the Sons of Fenris is yet another mystery, one that escapes the knowledge of the Wolf King himself and yet might be only kept by the Allfather himself, or maybe one of his closest confidents. 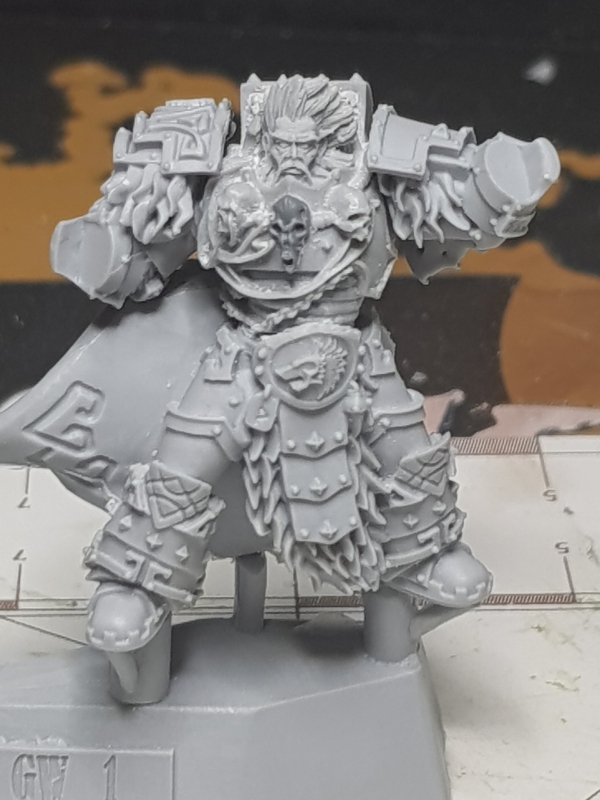 What is certain is that he was the advisor of Thengir, then of Bulveye and later of Russ, and taught the newly created Astartes the ways of the healer and the priest. The wolf brothers, they called themselves. And truly they were kin, united beyond blood, their threads bound by the weight of destiny and pulled by the indomitable will of their leader, Bulveye. They followed him in life and with him they stepped beyond it, forever to fight besides the Great Wolf in this new adventure he had had no choice upon. Edited by Grieux, 17 August 2018 - 10:12 PM. Excellent works. 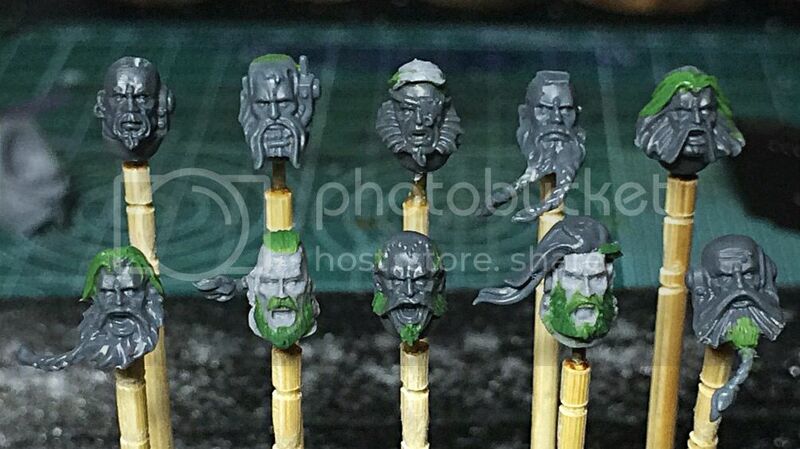 Did you make Russ' beard out of green stuff? (IIRC, his model is clean shaven.) And where did Floki get that cool-looking lion pelt? 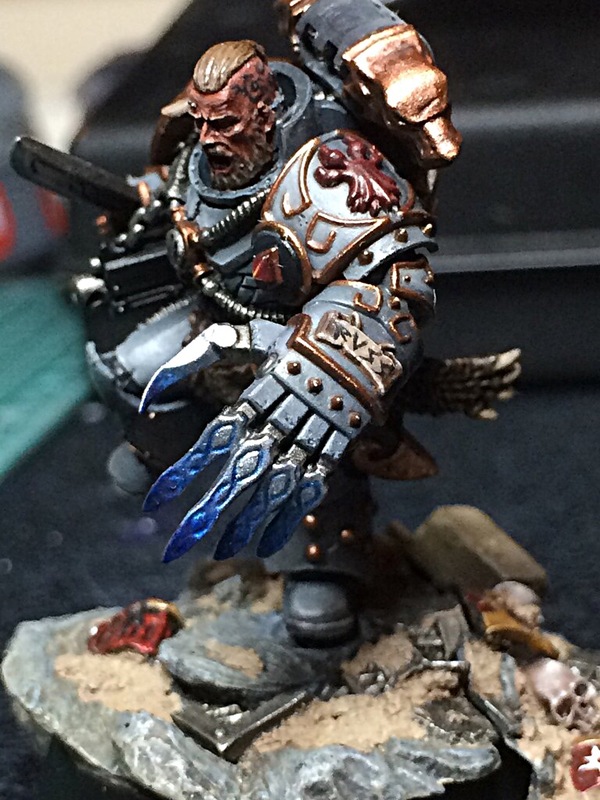 I will seriously never tire of seeing the paintjob you do for Space Wolves. I've finally settled in the way I want to do my Varagyr arms. 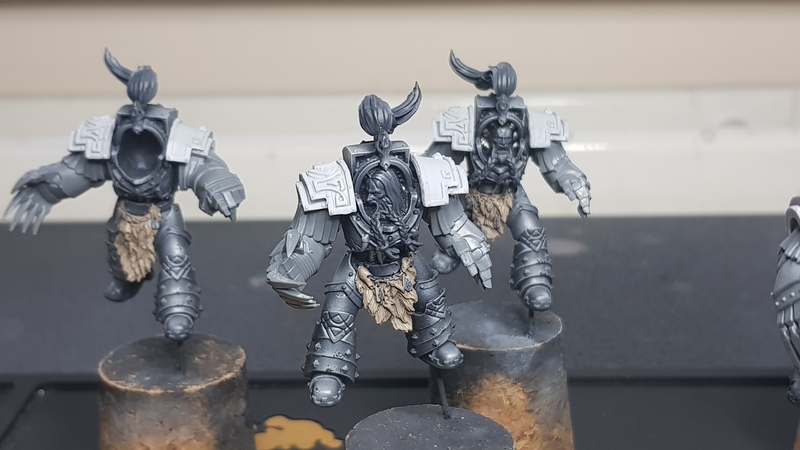 It's been very costly mainly due to trial and error making me scrap north of £90 in shoulder pads and terminator bits in attempts that didn't satisfy me so I'm leaving here how to do this in case you want to attempt. Pelts are not original either, the stock ones were cut, the legs rebuilt and these pelts are from kfstudio. 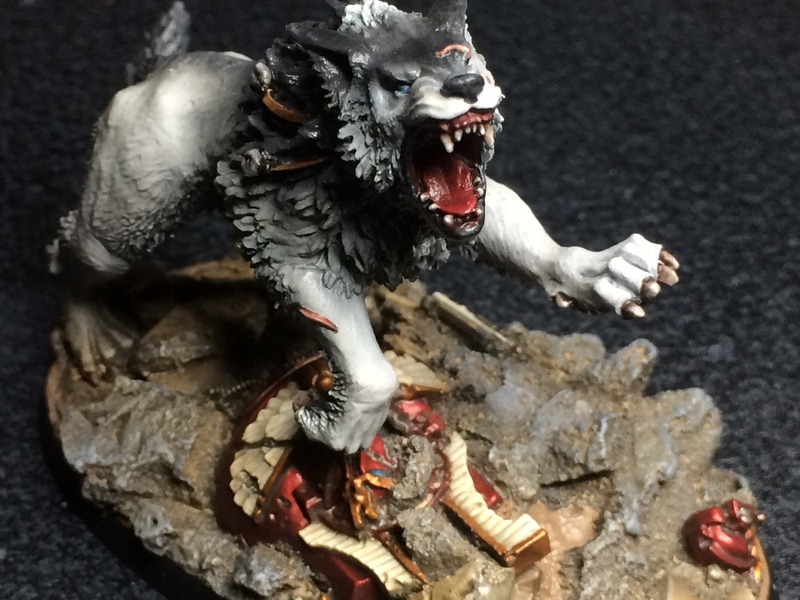 Left the thegns with fur instead of leather straps to show their status. Also axes because they look awesome. 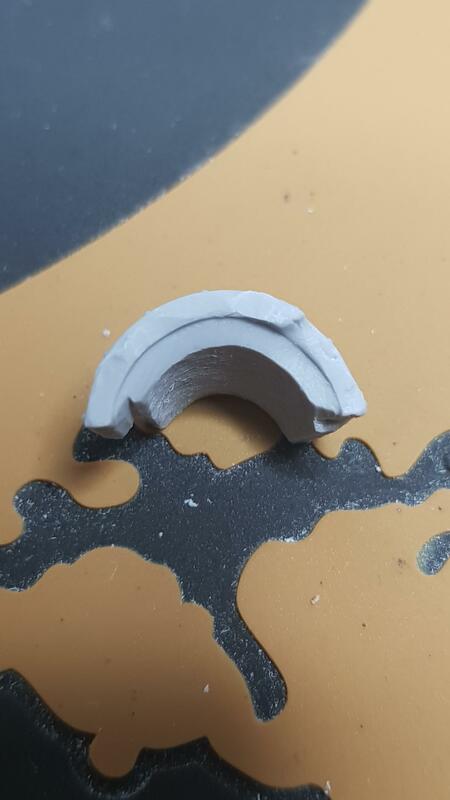 For this conversion we need to drill the arms higher than the centre point of the joint due to the bigger size of the Varagyr. 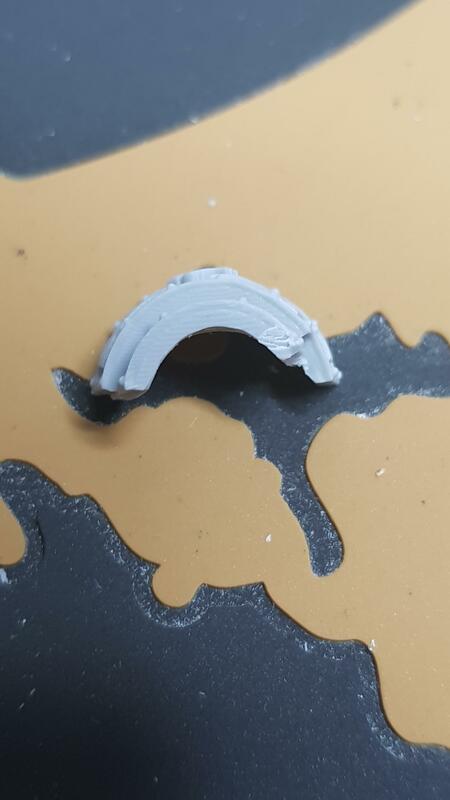 And here's how you need to drill the Varagyr arms to obtain shouler pads and allow them to fit plastic cataphractii. 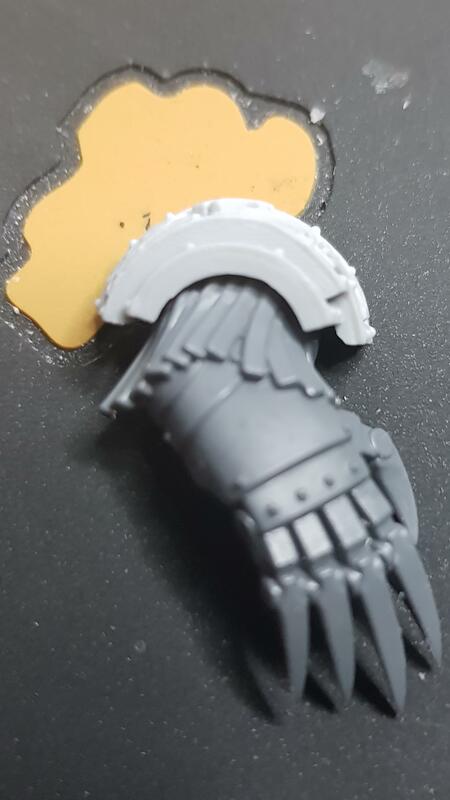 And final step in the arm process is to greenstuff the plastic cataphractii arms to make them longer and fit better with the armor. Edited by Grieux, 13 August 2018 - 06:25 PM. 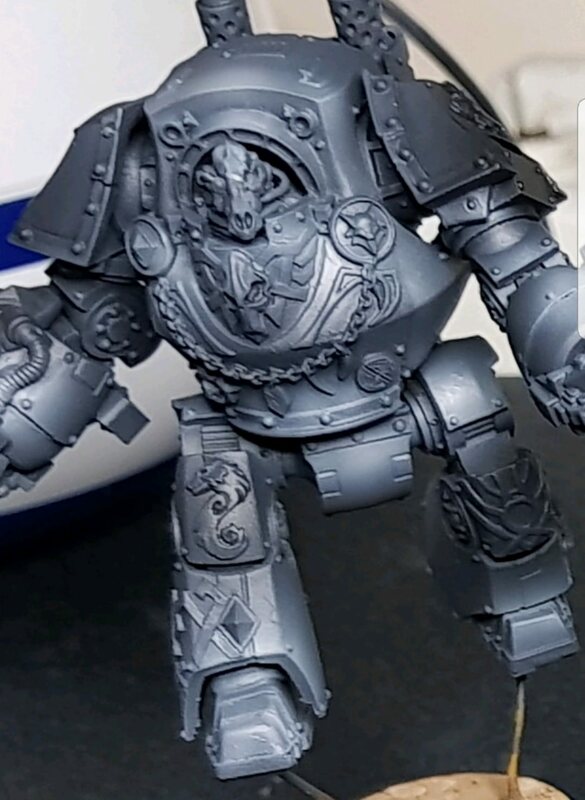 Those do not looke like the FW SW Termies revealed awhile back! 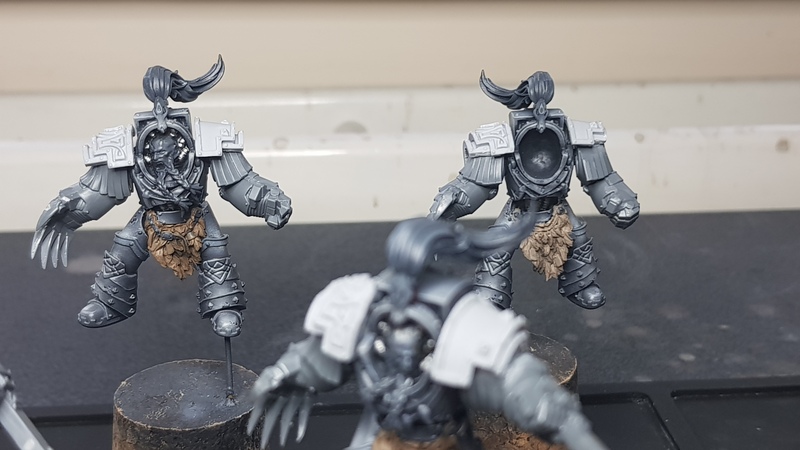 Great work on fixing and converting them! 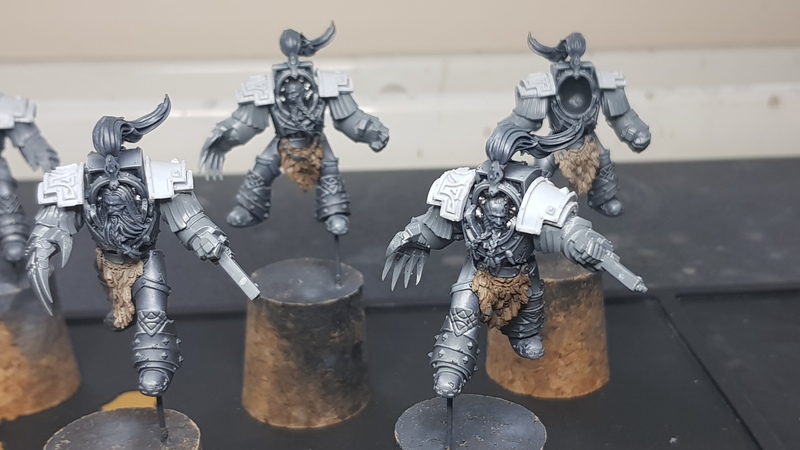 They look proper and menacing now! Good thing too seeing how much it has cost you in $$$. Aww sneaky. Just saw your new updated as I posted! The deathsworn looks off to a great start. 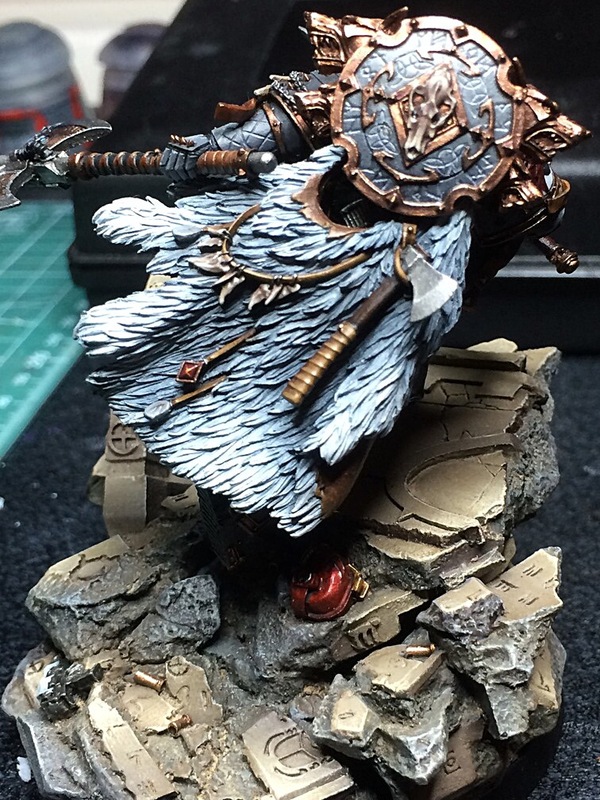 Nice use of the iconoclast legs and kitbashing. That guy looks like a tough SOB. 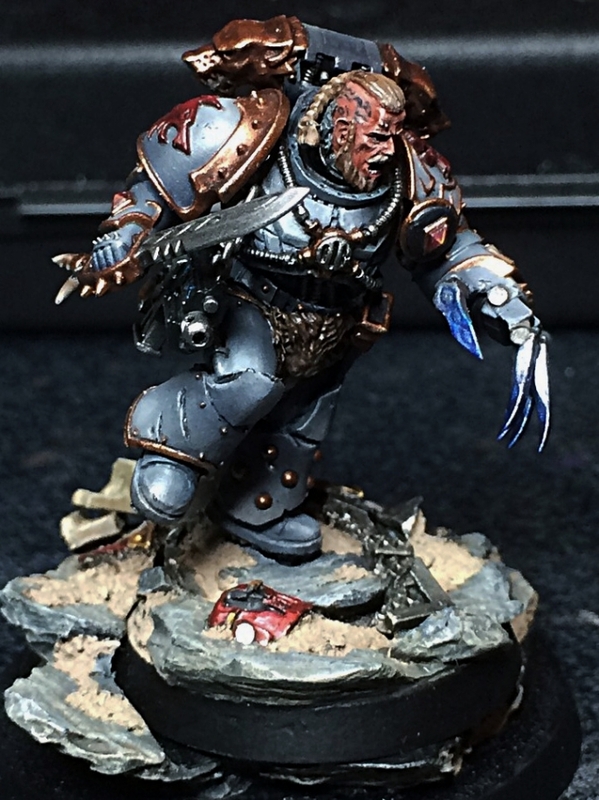 Murderfang looks awesome and I like the head you used. 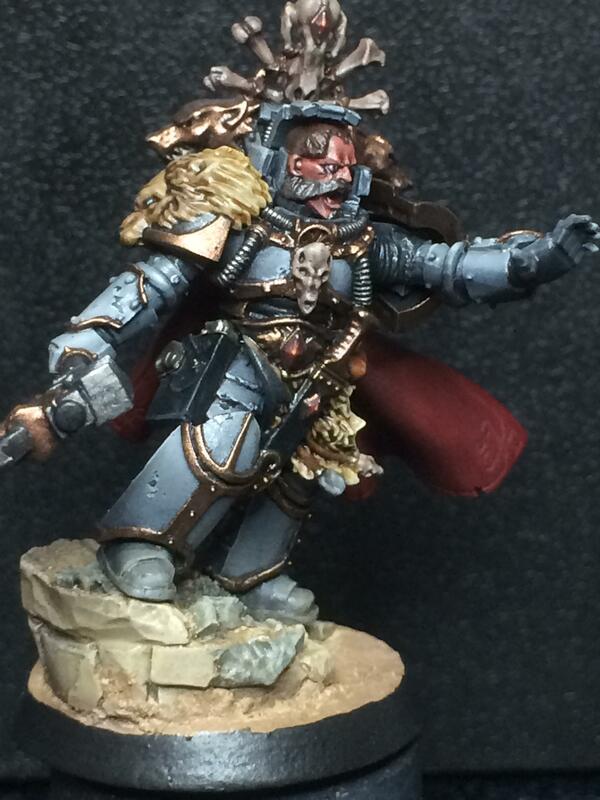 And Ivar the boneless I a sweet conversion. That's seriously the best use for Kor Pharon's legs. The speaker is awesome but it is Woden that knocks it out of the park for me. That guy is stunning! Edited by hushrong, 13 August 2018 - 06:28 PM. Thank you so much guys! Thought I'd clean house and consolidate all my WIPs in a single thread here rather than having 3 different ones! Edited by Grieux, 13 August 2018 - 06:27 PM. You snuck in that sweet update so I edited my previous post. 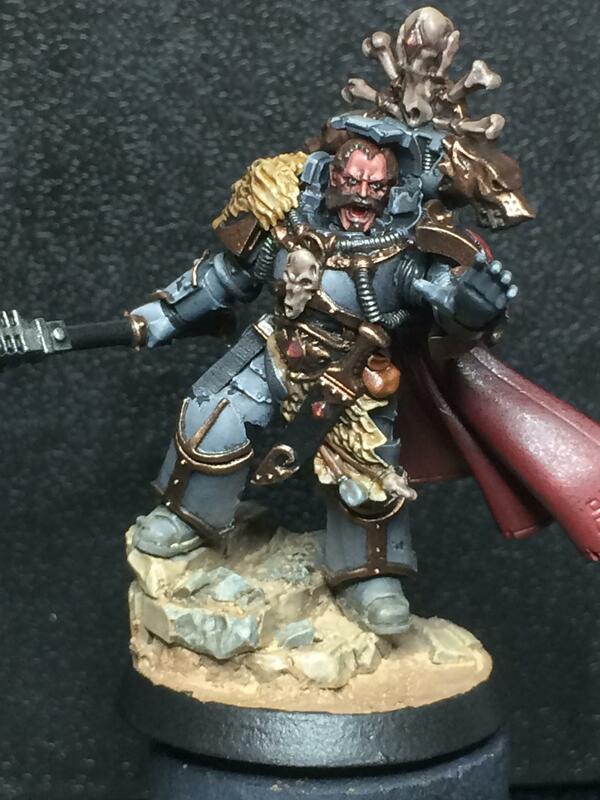 Seriously awesome work you are doing here bud! Cracking stuff per usual, goes without saying. 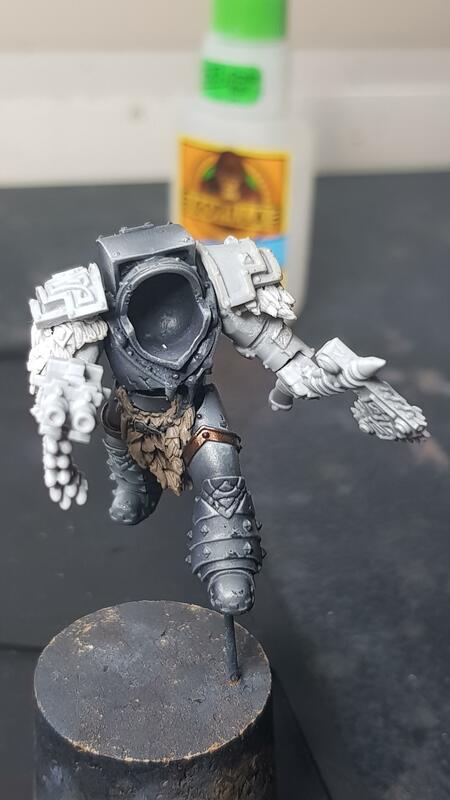 I still can't get over the size of the those termies. 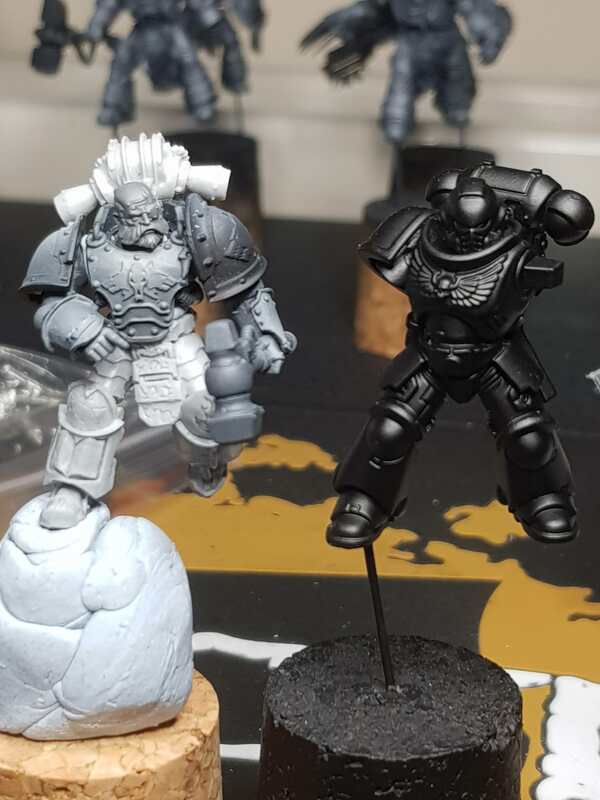 They're perfect size for these new armies with our fancy new cataphractii rules mixed with primaris huh! Edited by Grieux, 13 August 2018 - 06:44 PM. 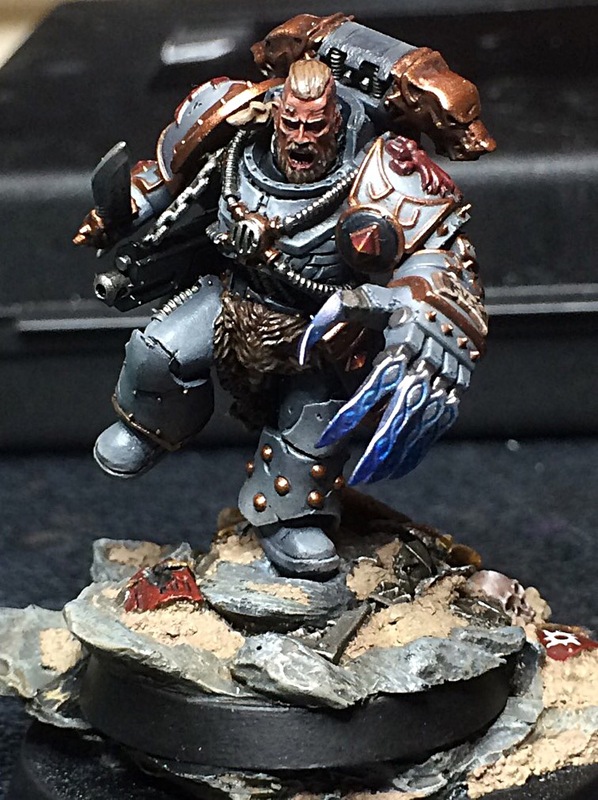 I like your Contemptor Murderfang conversion. 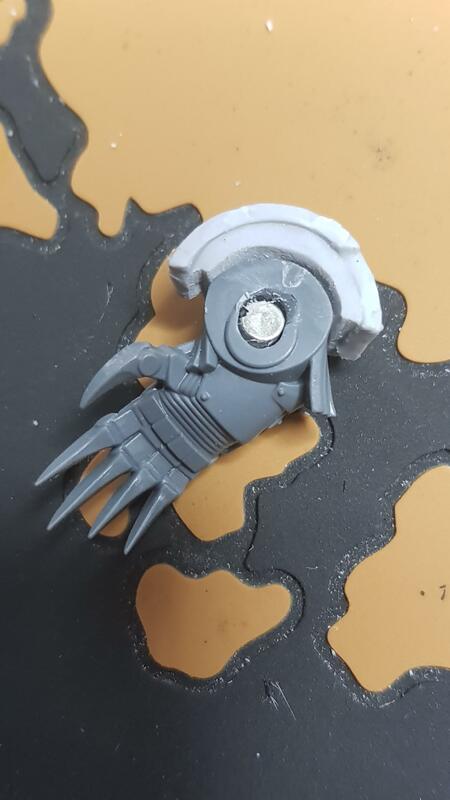 Thanks mate, between the new cataphractii rules and the new wulfen dreadnoughts I feel like a freaking precog! Edited by Grieux, 13 August 2018 - 08:42 PM. All the more reason I need to start rewatching Vikings! 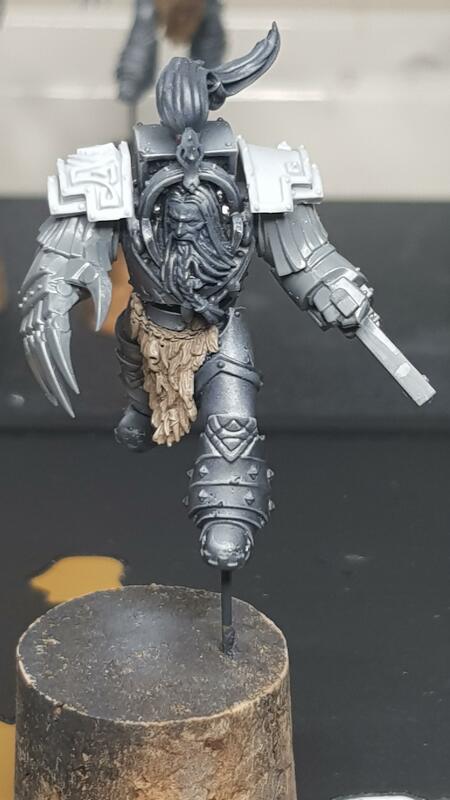 Woden is definitely a great conversion I'd like to copy since I have one of those skorr bodies lying around but I need to work on my skills first. Finished the coppers in my Thegn. Bought and tried the color alchemy series from Scale 75 and it's fantastic! 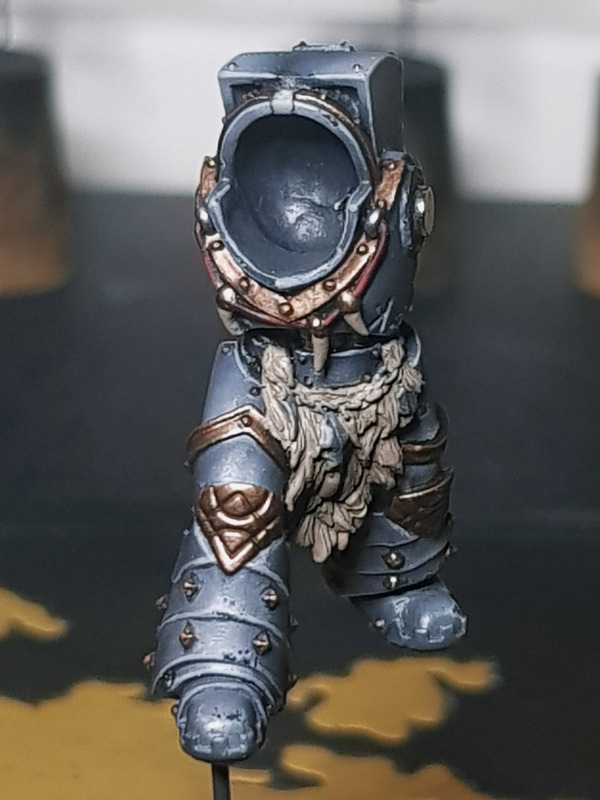 Tried to match the colors to my other bronzes in the army and I think I got a good enough formula, what you think? 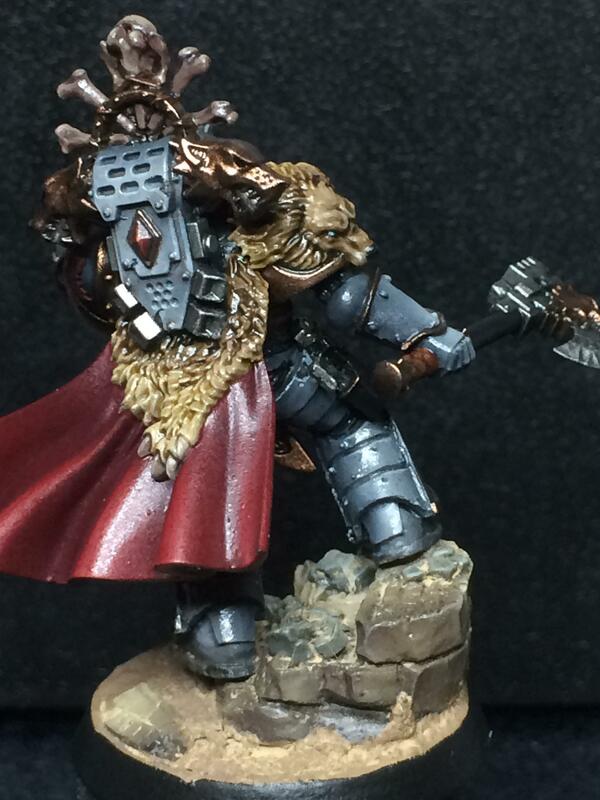 Excellent work on the Terminator armor. I hope to see the completed model soon. Most excellent. 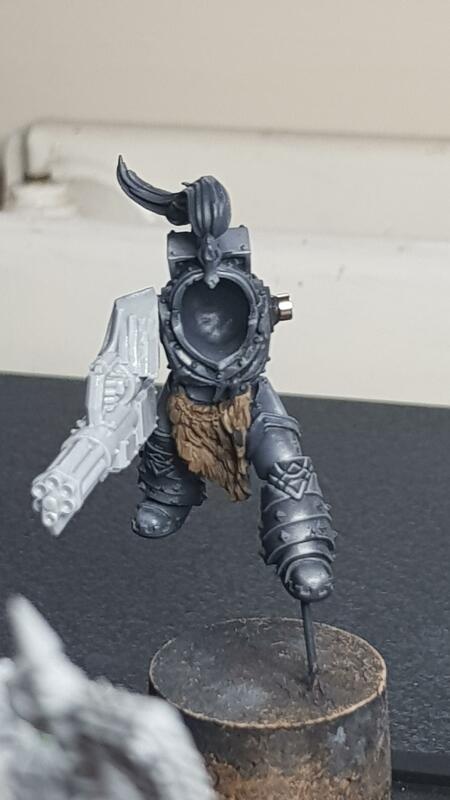 Especially with the new codex coming out, Russ be praised. Yea buddy, you’re making the wait to see these bastards worthwhile! Good work, loving the range of motion in these. May have to look into this alchemy set. I have been loving scale75 paints. Wowawiwaa!! 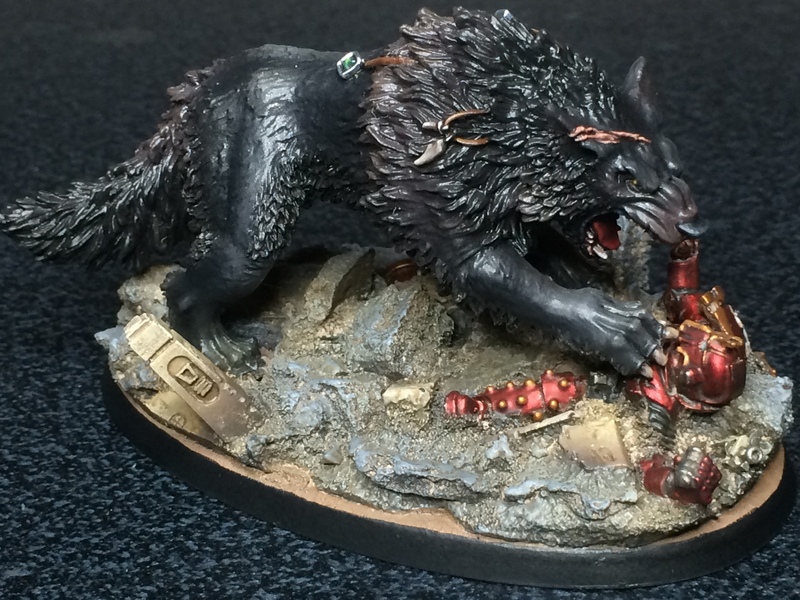 Awesome minis, really enjoy looking at so iconic Wolves! What you think guys? Do the parts mesh well? 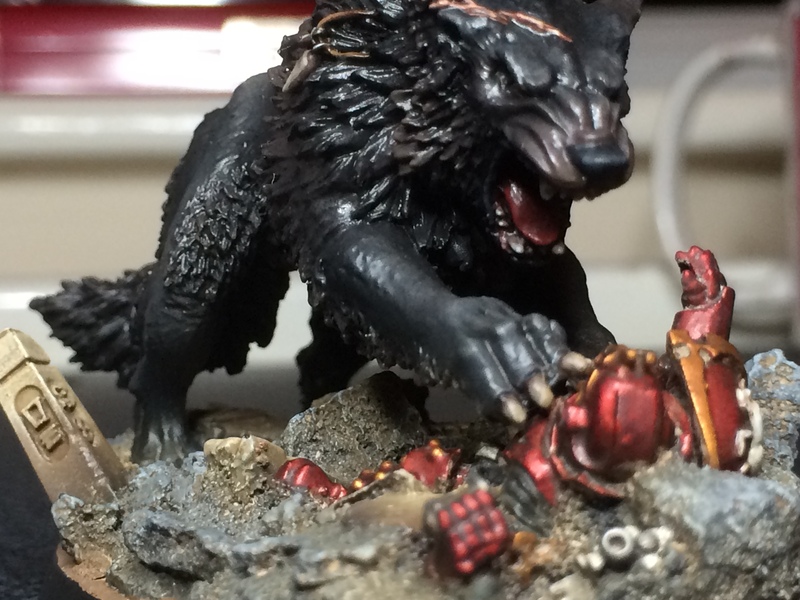 I'm thinking about changing the skulls for wolf skulls, or at least the central one. 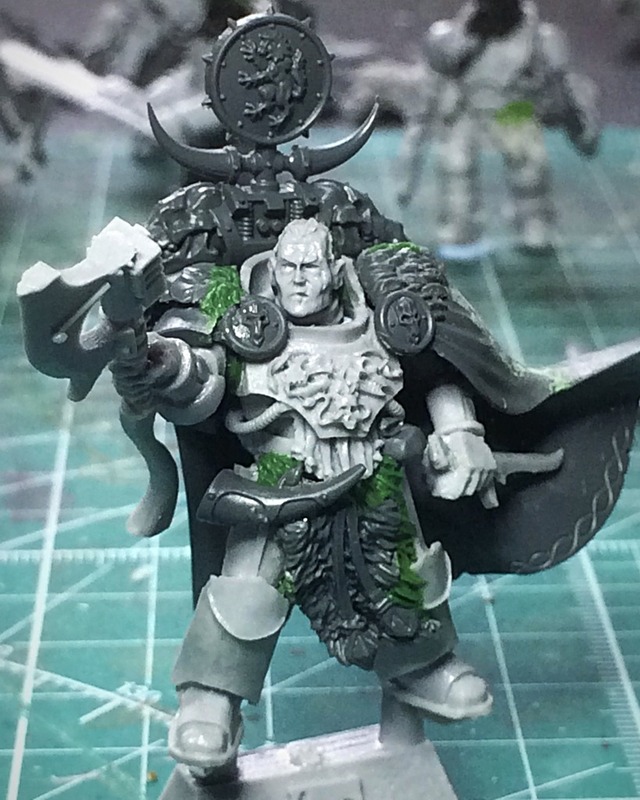 The left arm will be the heretic librarian summoning a raven and the right hand will hold his staff. Edited by Grieux, 18 August 2018 - 05:38 PM. 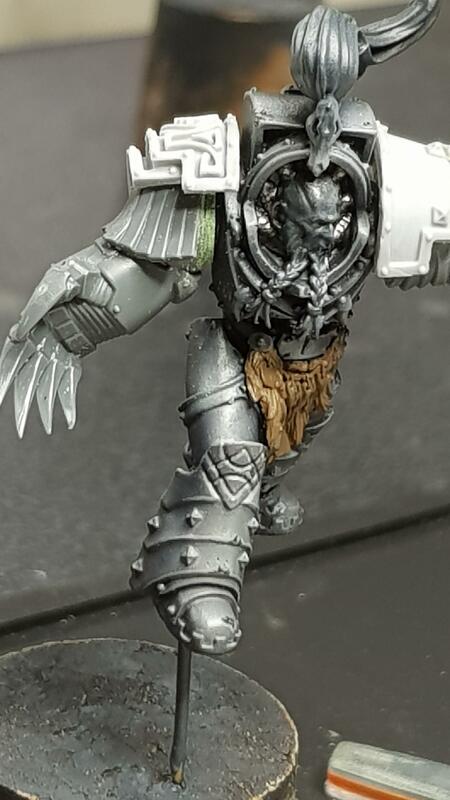 I finally went with a different head that mirrored better the artwork. 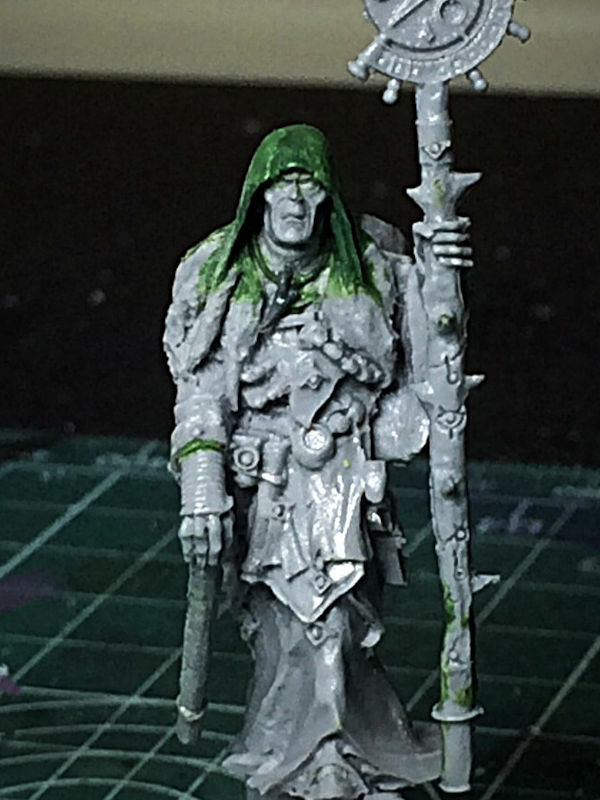 Need to buy Njal now to get the staff and raven. What a thread! 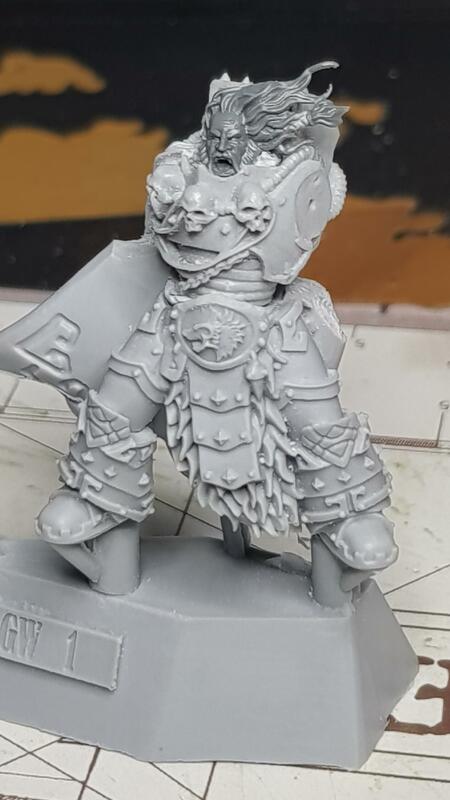 I never liked the two original Njal models, but your conversion looks stellar!